Our podiatry practice was established in the New York area by Dr. Fred DeLucia and Dr. Joseph Alencherry to provide the best in surgical and non-surgical treatments affecting the foot and ankle. All our podiatric surgeons are extensively trained in the diagnosis and treatment of diseases and conditions of the lower leg and foot. They are surgically trained in advanced reconstructive foot and ankle surgery having completed rigorous four year residency training at New York Hospital of Queens. Our practice philosophy is to examine patients on the whole rather than simply from the ankle downward. Many diseases first present themselves in the lower extremities, just as they may also in the later stages. A specialist, therefore, must always be able to think like a generalist…while still being a specialist. We are a group of professional, empathic and interested practitioners who specialize in all conditions of the lower extremity within an inviting and brand new state of the art office setting. Our office staff is cheerful, up to date and eager to assist you in all of your needs outside of the exam room. We treat conditions such as heel pain from spurs and plantar fasciitis, arch pain, bunions, hammertoes, and sprains of the foot and ankle. 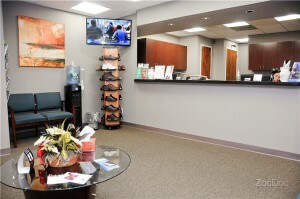 We provide custom orthotics and shoes. We also specialize in surgical and non surgical treatment of diabetic problems affecting the foot including diabetic neuropathy and ulcers. Our office location in Long Island is only a short distance from the communities of New Hyde Park, Lake Success, Mineola, Garden City, Floral Park, Bellerose, Port Washington, Great Neck, and other towns of Nassau County. The offices in New York City are only a few steps from the West 4th subway station West Village and the Columbus Circle subway station in Midtown. I had a heel issue that was causing me a lot of pain until I received treatment from Dr. Alencherry. He was very patient during our sessions and gave me the tools I needed to understand my ailment and take necessary preventive measures for the future. 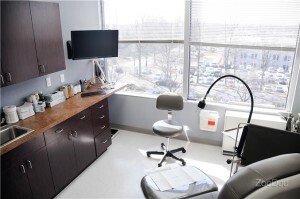 In addition to the stellar care, I appreciated the cleanliness of the office that lent to a very comfortable and professional environment. I would definitely recommend this practice! Dr. DeLucia is amazing. I had extensive corrective surgery done on my foot.. that a precious surgeon tried to fix, but did not. I went to Dr. DeLucia after searching for a very long time for a surgeon who could fix my issues. 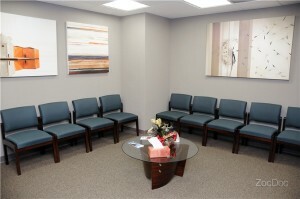 Not only is Dr. D very good at what he does but he is compassionate and truly cares about his patients. He fixed all my issues with my foot. I could not be happier with the outcome. He truly is a great surgeon and I highly recommend him.. you won’t be disappointed! I recently had major surgery on my right foot: 3 hammer toes as well as the realignment of my big toe. After ten weeks I am relieved and pleased with my decision. I am returning next month to have my left foot fixed. I do recommend this office, especially as they do take pride in their results. Dr. Alencherry was my physician.